Do not buy anything from here. Very bad quality. I wouldn't even give them one star. 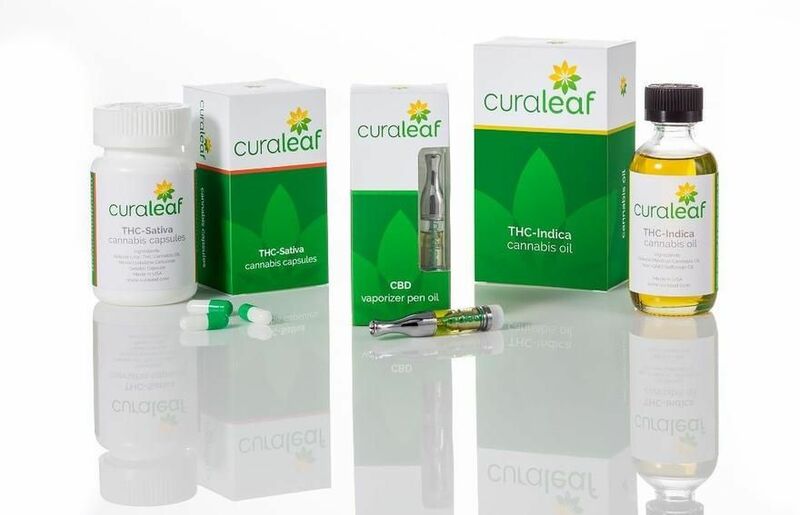 This is just my personal preference but Curaleaf’s CBD Oil is the best. Really helps me. I would like to see them expand the strains in sativa and indica they carry but top notch service and a clean aesthetically pleasing dispensary. I suffered a spinal cord injury that left me tetraplegic. I'm receiving care in a private home, which is not my own home, and is not the address on my driver's license. I've tried to order three times, each time being very clear and specific about my current address and situation, yet THREE times they've delivered it to my home address, despite my giving them my current location. THREE times wrong! Instead of offering the relief I seek and need, this company has only added more stress to my already stressed life. First of all, ALEX is awesome. Of all the dispensaries I've been, he has been the best. I like Curaleaf and the product is good, when they have it. I've been waiting for my medicine to come in and it never does. I am writing this as I'm on hold because they haven't picked up or answered my emails. It's been 23 minuted on hold and no one answers the chat online at all. So that's what I got. Good luck. Nevermind I was waiting for 23 minutes and then they tell me that THEY CAN'T TELL ME WHEN THEY ARE COMING IN????? CALL BACK AT THE END OF THE WEEK? FOR ANOTHER 25 MINUTE HOLD SESSION? Do they realize that they are not the only game in town. I really liked Curaleaf slim vapes but know I have to go somewhere else. No more Curaleaf. This was my second time at Curaleaf and I am happier than I could ever be. Great deals, great staff, and great products. I gave them 2 stars because of the good service but lack of quality in medicinal product. I have tried their whole line of products and can only say im happy with the Co2 cartridges and the sunflower seed oil. I have tried their wax syringes: its so difficult to dispense that by the time i finally get some out i don’t even want to smoke anymore I have tried their extract capsules: those have horrible taste (although thats not completely on them) What i am most displeased with is their flower pods: I have purchased them 3 separate times. The first time i found a lot of stem and sugar leaf in them. I understand the pods are not meant to be opened, but i did and was displeased when i found this because it makes the vaping experience much harsher. Also, it was sold as FLOWER. Stems and sugar leaf are not flower. The second time i actually got some good quality ones and was somewhat pleased Third and last time was during a sale they ran BOGO 50% off on flower. I decided to take advantage of it just to end up receiving cannabis that was not dried properly. It tasted and smelt like dry grass or horse feed. Definitely not buying these products anymore and will only be visiting when Co2 cartridges are on sale. Kudos to the whole staff on friendliness and knowledge. My product complains should not fall on their great effort. First time patient, the staff was great, the products incredible. Thank you! We are so glad you had a great first experience. We hope to see you again soon! Happy to hear you had a great experience! Thank you for being part of the Curaleaf Family. Having just received my medical card, I had quite a bit of anxiety going into a Florida dispensary for the first time. It was all for nothing, as the staff at Curaleaf Dadeland were amazing! Staff was very welcoming, helpful, and friendly. Could not have asked for a better first visit! I will definitely be back again. Happy to hear you had a great experience! It was a pleasure having you at our dispensary. Thank you for being part of the Curaleaf Family.